In Firefox, I use the InstantFox add-on to combine address bar and search bar into one item – like in Google Chrome. Notice the * in front of the search term bugs. This restricts the search to bookmarks. All these shortcuts can be edited in about:config under browser.urlbar. Bug of the Day: Backup running, ok/cancel? 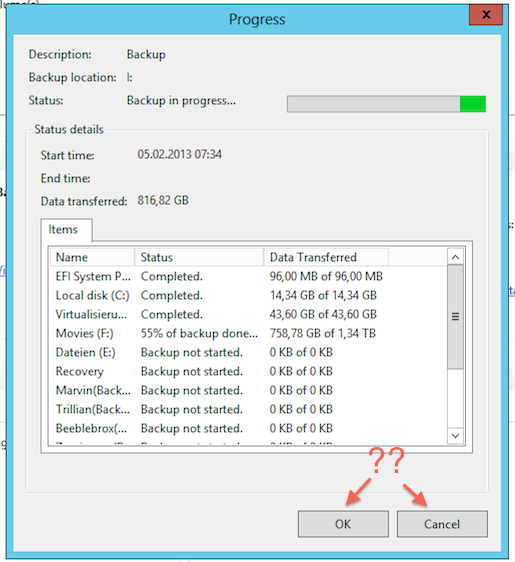 Today’s bug is a GUI design bug in Windows Server Backup (2012). What do you think of this screenshot? Why is there an “OK” and a “Cancel” button? What do they mean? This flood of log messages made the whole deployment process very slow (54 seconds to deploy a fresh project). As workaround I found that disabling Use Fast Deployment in the project settings “solved” the problem for me. I’m still waiting for an answer from Xamarin on this issue. Update: This problem is tracked here. 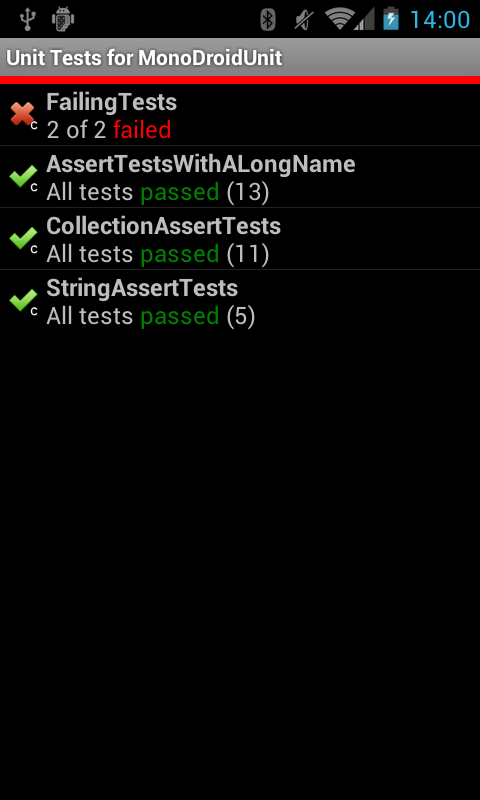 Currently MonoDroid (or “Mono for Android”) is lacking a unit testing framework. Since Xamarin (the guys behind MonoDroid) enable us to use C# on almost every platform it would be nice to be able to reuse C# unit tests written for Visual Studio on other platforms, such as Android. Mono for Android provides a window to view all Android log messages directly in Visual Studio. However, you can’t copy these log messages. Since I’m a well-behaved programmer, I filed a bug report for this. 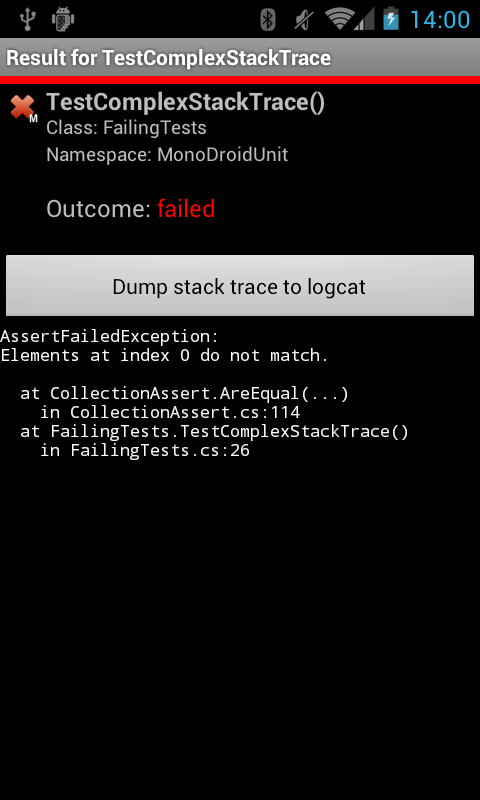 For now, I have to use monitor.bat from the Android SDK’s tools directory to work around this issue.